The first thing you’ll want to do is to cut the tops off the oranges–about half and inch off the top. I suggest using small oranges since they will offer a nice portion size without being too huge. Also, make sure that your oranges can stand upright. 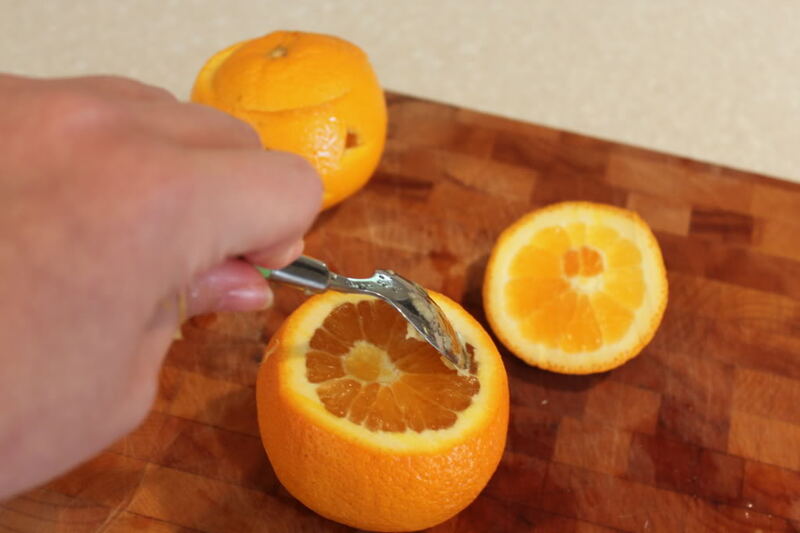 If you have a stubborn orange that keeps falling over, try cutting a very thin portion off the bottom. 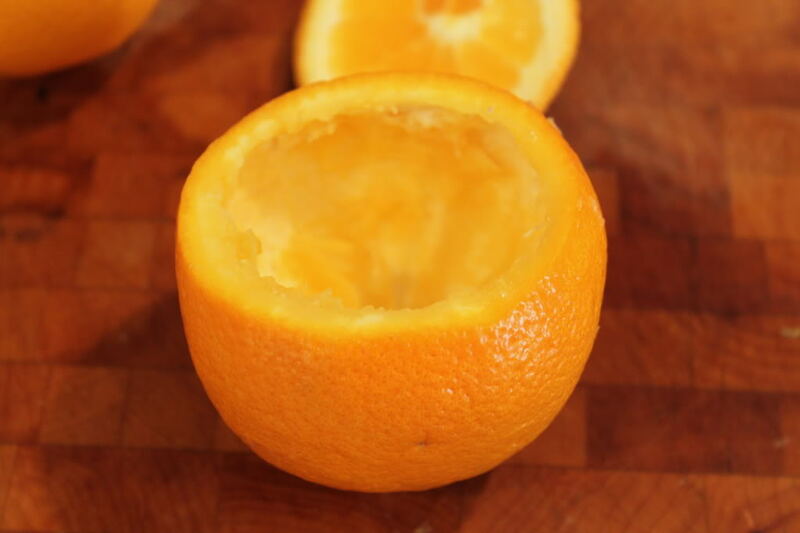 Not enough to reach the interior of the orange–just the peel. Then, scoop out the flesh of the orange leaving an empty shell. 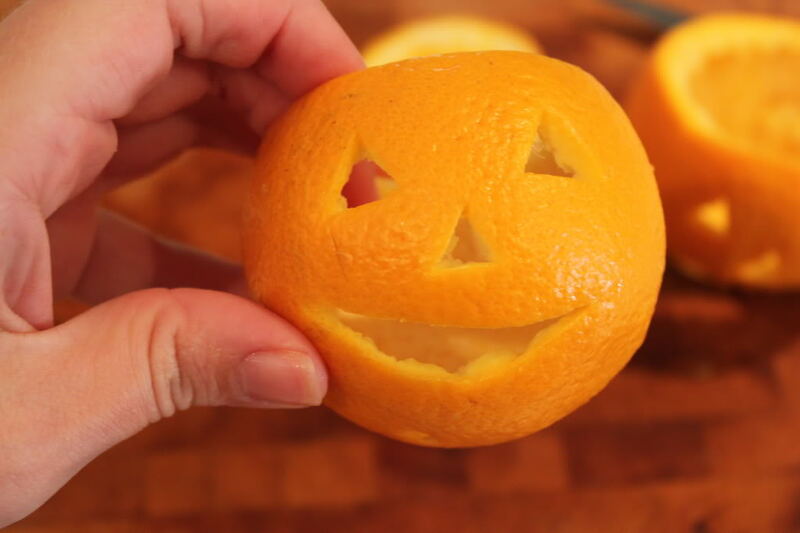 Using a flexible and sharp knife, cut out the jack o’lantern face. Fill with pudding and replace the top. Make sure that your pudding is very thick or it will fall out of the jack o’lantern face. If you use the instant pudding, reduce the amount of milk by about a cup and that will give you the right consistency. These Halloween treats are super easy and super cute! 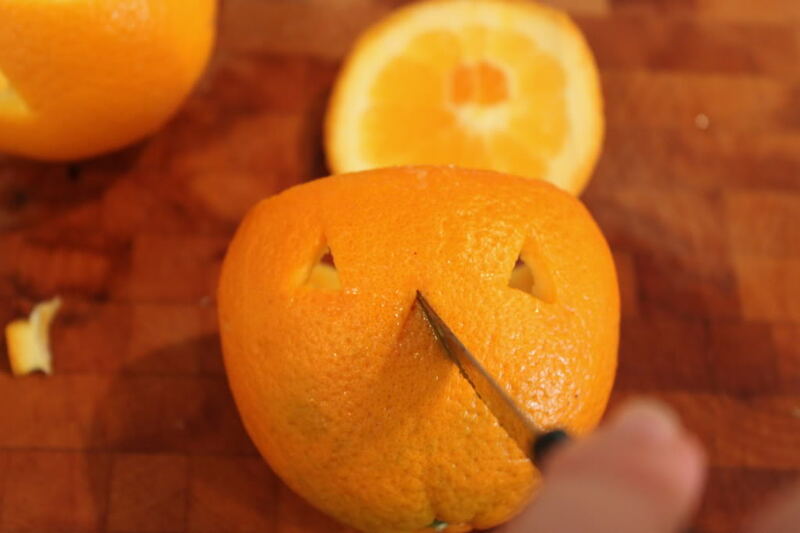 Make these pudding-filled Jack O’ Lantern oranges and scare up some fun this month! 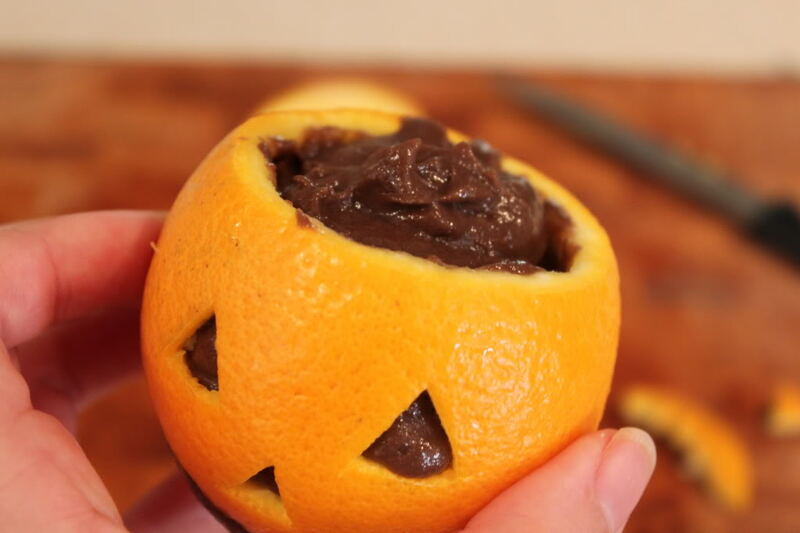 All you need is a few oranges, a knife and spoon, and your kids’ favorite flavored pudding. Set Your Inner Crafty Diva Free For Independence Day!